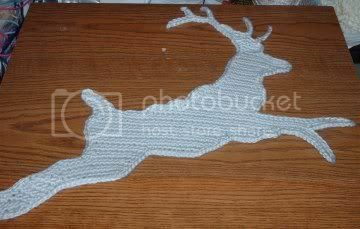 Here's my finished Reindeer Applique from the current issue of Crochet Today! I originally made this with the idea of sewing it onto a shirt for Christmas, but as he's too large for that, I'm going to have to make another one. 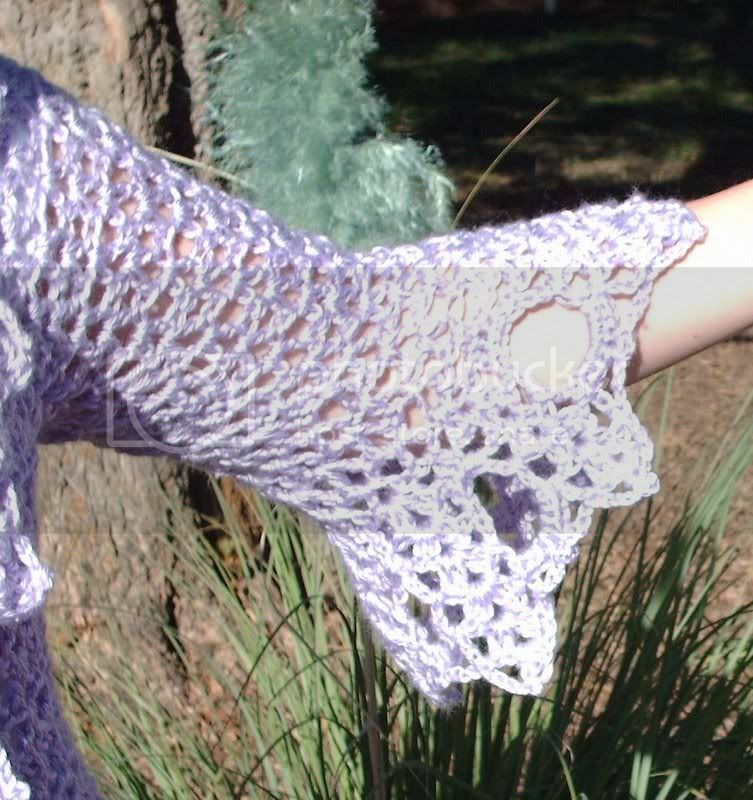 But the pattern is so easy and takes no time at all! 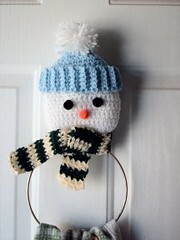 Just in time for winter, this cheerful little fellow arrives! He's super easy to make and works up pretty quickly too. I'm making about 16 of these as Christmas gifts for my fellow co-workers this year. I usually try and make something within a Snowman theme for all my gifts for work because I want them to be able to use them throughout winter instead of just for the Christmas holiday. Add'l Materials: 4" Macrame Ring, Pompom's and 1 button. Hot glue gun. 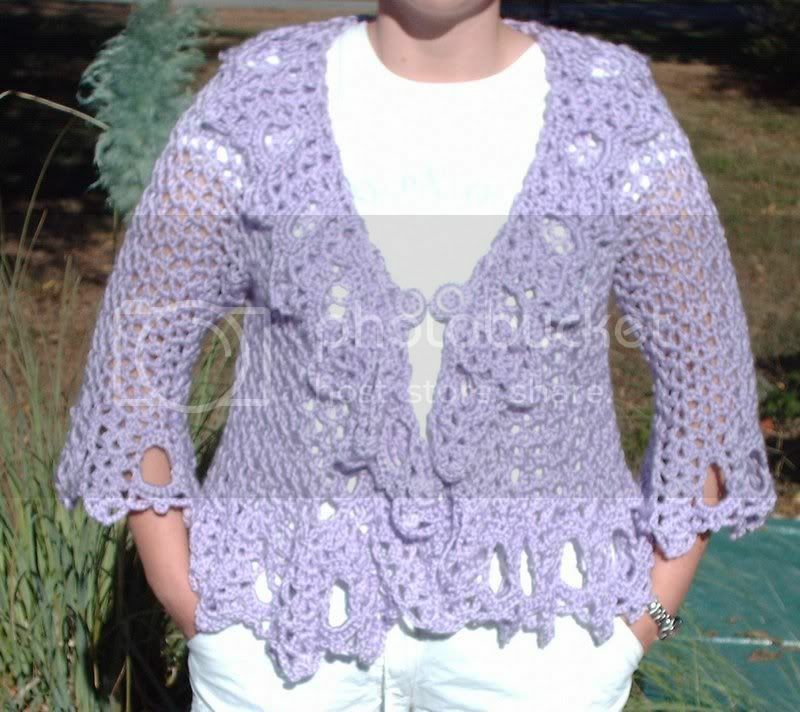 This pattern was purchased here at epatternscentral.com for only .99 cents!!! The only reason I haven't switched over to this one full time is because i'm still not for sure how to operate this thing! So, I'll try and post to both blogs so no matter which one everyone reads, they'll show the same. Finished: Completed in 3 days.